If you like a simple DIY recipe, then we have the perfect one for you. I am not a big fan of pineapples, however, my only exception is this childhood favourite. I still remember my elder sister would bake it and I would devour itwithin hours. The fruity flavor with warm caramel will leave you wanting more. It is a fairly easy cake to make and will not need too much time. For me, personally, it is the perfect autumn dessert! The tropical fruits bids goodbye to the summer while the cinnamon and caramel welcomes the cool winter breeze. 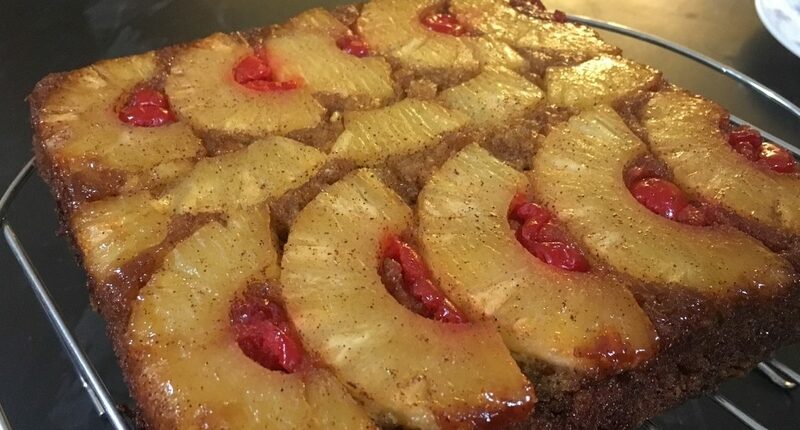 I prefer to eat this pineapple upside down cake warm, with a dollop of cream. This DIY Recipe is definitely a crowd pleaser! Ensure that all ingredients are at room temperature. 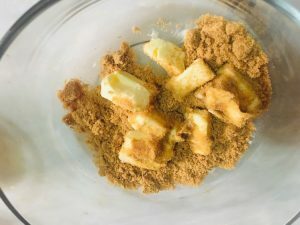 You can use caster sugar if you do not have light brown sugar. Do not throw away the syrup from pineapples; reserve it for use in the cake. This syrup can also be used to add moisture to iced cakes before frosting. Preheat oven to 180 Celsius. 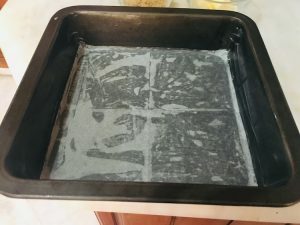 Line an 8×8 inch square or a 9 inch circle pan with parchment paper. 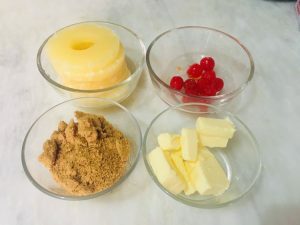 To prepare the base, in a clean bowl add ¼ cup butter and ¼ cup brown sugar and mix until well combined. Layer this into the prepared pan, making sure that it is evenly spread. 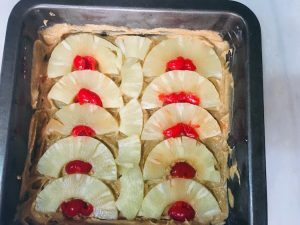 Layer pineapples either whole or halved on top of the sugar and butter mixture. Place cherries between pineapple slices. To prepare the sponge, add ½ cup butter and ½ cup light brown sugar into a mixing bowl. 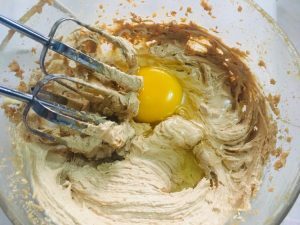 Using a stand or hand mixer on medium speed, cream the butter and sugar. Add eggs one by one making sure they are well combined. 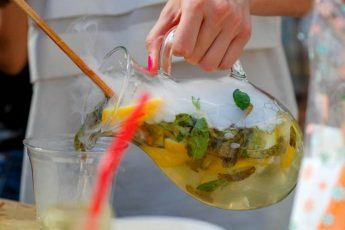 Combine it with 4 tablespoons of pineapple water and 1 teaspoon of vanilla essence and mix for another 15 seconds. 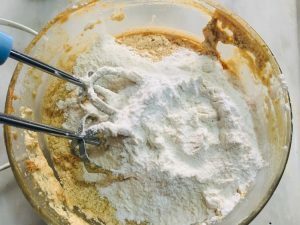 Add baking powder and cinnamon into the flour and add it into the wet ingredients in two parts. Once combined spread this on top of the pineapples and cherries. Ensure that the mixture is evenly spread. Bake it in a preheated oven for 32 minutes. To check if the cake is baked, insert the tip of a knife into the center and if it comes out clean, remove cake from the oven. If the knife does not come out clean give it a little longer, checking every few minutes until the knife comes out clean. 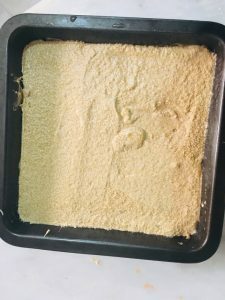 If the cake is golden brown and still needs more time, cover the pan with aluminum foil before placing it back into the oven as this will allow the cake to bake without browning further. Once baked, remove from oven and let it rest for 10 minutes. Flip cake onto a cooking rack and cool completely before placing to a serving platter. If you, like me, prefer a warm cake, cut a slice and serve with a dollop of cream or a scoop of ice cream. 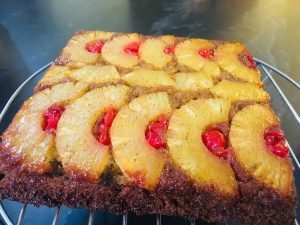 Try this DIY Recipe of Pineapple upside down cake and let us know what you think!